Earlier this week, Pokémon GO received a massive update that infused the Johto region's Pokémon into the game.It's made a lot of people -- us here at USgamer included -- nostalgic for that initial massive surge of popularity Pokémon GO enjoyed last summer, so we started talking about our favorite Pokémon-hunting stories. By the way, if you're feeling the Pokémon GO bug again, we've updated our Pokémon GO guides and walkthroughs to reflect the new content! 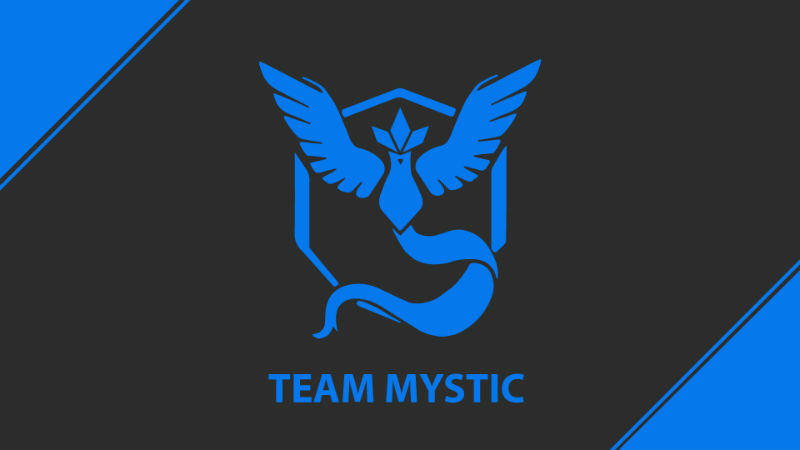 Team Mystic. Team Valor. Those other guys. The schism between Pokemon Go's three major factions has destroyed families, friends, and relationships, including my own (well, not really, but close enough). My partner was the first one to get to the point where she had to choose a faction. She immediately hopped on Team Valor, drawn as she was by their focus on power. She immediately became a Team Valor psychopath. "You're obviously going to pick Valor," she told me. "Mystic are a bunch of crystal loving hippies. I was inclined to agree with her; but when it came time to pick my team... I hesitated. I liked their emphasis on logic; I liked their leader, Blanche, and... uh... I liked the color blue. But mostly, I liked that their symbol was Articuno—my favorite of Gen 1's mystical birds. Articuno was one of my first really powerful monsters back in the day; and while its star has waned in the competitive scene, it's retained a special place in my heart. Suffice it to say, I picked Valor. And I kind of immediately became an enormous troll, happily pointing out every gym that was owned by Mystic and just generally mocking my partner's choice. It was (amusingly) heated for a while, but I'll admit, my partner got the better of me. I stopped after a month, but my girlfriend is still playing, and she's well beyond my level. I live in a very Jewish area of Toronto. Unbeknownst to a lot of people, the Jewish faith is divided into many sects and subsects, all with different traditions and beliefs. I live near a Chabad-Lubavitch synegogue, and since that particular branch of belief is big on teaching lapsed Jews (ahem, me) about our traditions, it usually has big displays around major holidays. If you live near a Chabad-Lubavitch yourself, for example (try New York or Baltimore), you may have noticed a giant menorah statue that lights up every Hanukkah. Well, of course you noticed it -- that kind of thing is hard to miss. So it's probably not a surprise that the most prominent gym in my neighbourhood is the aforementioned "Giant Menorah," which is marked as exactly that in Pokemon GO. 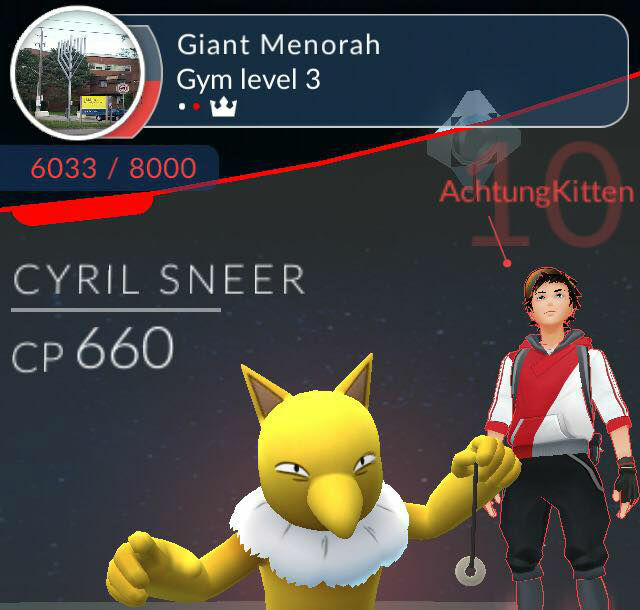 There are a few other Gyms of note in my area -- libraries, churches, etc -- but defending the Giant Menorah has always been a point of pride for myself and my team (V A L O R). I mean, anyone can defend a library. How many of us have the chance to defend a big eff-off interactive sculpture that symbolizes our tradition, history, and culture? To this day, that menorah is a level-10 Valor gym, and I intend to do my part to make sure it stays that way. You would think that being in a relationship for (at this point in time) four and a half years would warrant some discussion about what Pokemon Go team you would collectively choose, but my boyfriend never got that memo. He chose Mystic. I chose Instinct. Before I knew it, we were nemeses. As such, the gyms in our neighborhood became a battleground. I apparently live in a Mystic-dominant neighborhood, so while he was frequently a gym leader, I would tucker out my poor Pokemon in my attempted path to glory. But one day something changed: a gym was only a single tier, with a Pokemon of the smallest CP possible in my grasp. I overcame the Pokemon, and in a frantic scramble, I dropped one of my own in its place. 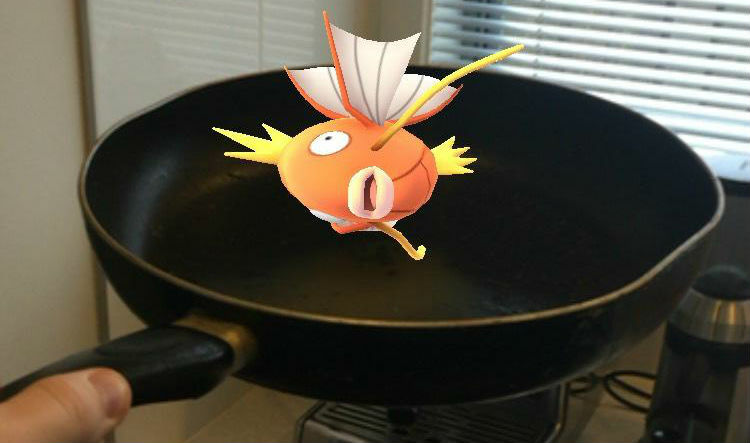 A Magikarp. I put a stupid Magikarp into a gym. Embarrassed, ashamed, wishing I had a time machine of sorts, I began to walk away. Until I saw something on my phone screen: my boyfriend had taken over the gym. Frustrated, I took down his Pokemon, attempted to more thoughtfully put a Pokemon in its place until something worse happened: he claimed the gym as it was neutral before I had the chance to throw my own pocket monster in. This infuriated me. He thought it was funny. We continued this cycle for around three instances, until he finally allowed me to throw my Pokemon in. Successfully, I was at long last, a gym leader. I didn’t play Pokemon GO very much, but I did spend a couple of days wandering in my small town of Wellsboro hunting down Pokemon. Now at one point in the town, there’s an old department store that takes up multiple buildings that then form a sort of roof to one of the closed-off streets that lead to the town proper. I was walking up to that area, phone in hand and at the ready, when I came across a Golbat right before entering this covered area. In any other Pokemon game, this wouldn’t be a special encounter at all. Heck, I get preemptively annoyed any time I have to go in a cave because I know I’ll have to deal with a seemingly endless stream of Zubats and Golbats. But this was different. I never really thought about how big a Golbat actually is in real-world terms, and it turns out that they’re enormous, easily taking up over half the area of the covered street entrance. 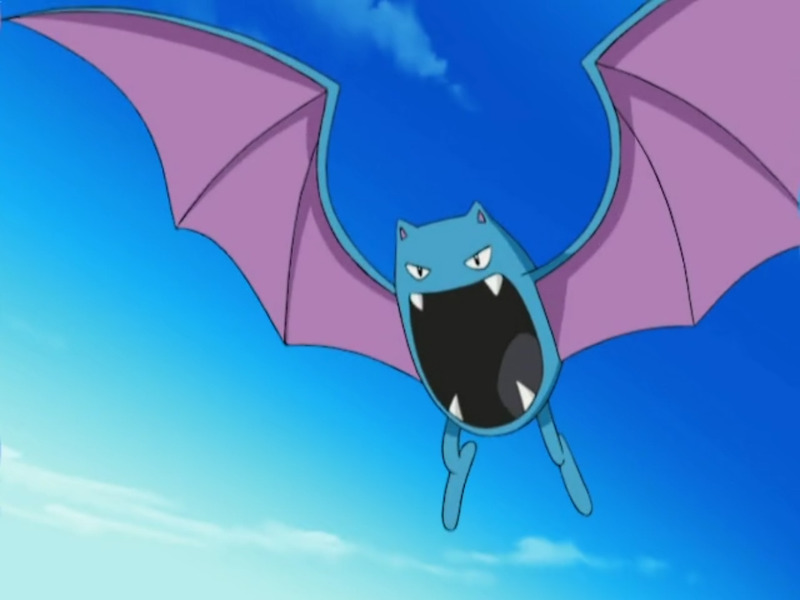 This Golbat was downright imposing. I could almost feel it bearing down on me. If nothing else, Pokemon GO is a great reminder that we take a lot for granted when we delve into these fictional worlds. From our viewpoint playing the mainline games, we see a small sprite on a small screen. But when we actually transpose what it’s actually supposed to be like for our trainer avatars onto the real world, the Monster part of Pocket Monsters becomes much clearer than it ever has before. If it weren’t for the fact that it was all augmented reality, that Golbat could do some real damage to the town if it were an actual wild animal flying loose. Yet this is just another day for a Pokemon trainer. I live near a major US city, but I don't live in a major US city. As such, my Pokemon GO play requires a good deal of travel. My local prospects are slim pickings and Niantic doesn't feel the need to improve the spawn rates for those out in more rural areas. The early days of Pokemon Go frenzy tended to involve my significant other and I traveling to places where there was actual spawns. So imagine me in my Honda with someone else, driving into other people's neighborhoods to catch Pokemon and take over gyms. The funny part is during the height of the frenzy, you could always tell when others were doing the same. Cars stopped for a long time in a spot with their lights on. The slow roll through a parking lot or neighborhood. It's like being spied on by the FBI, if the FBI was families and twenty-somethings trying to catch digital monsters. I'd hazard that most people tend to have this moment when they're playing Pokemon Go out and about. This crystal clear moment of "What am I doing here?" 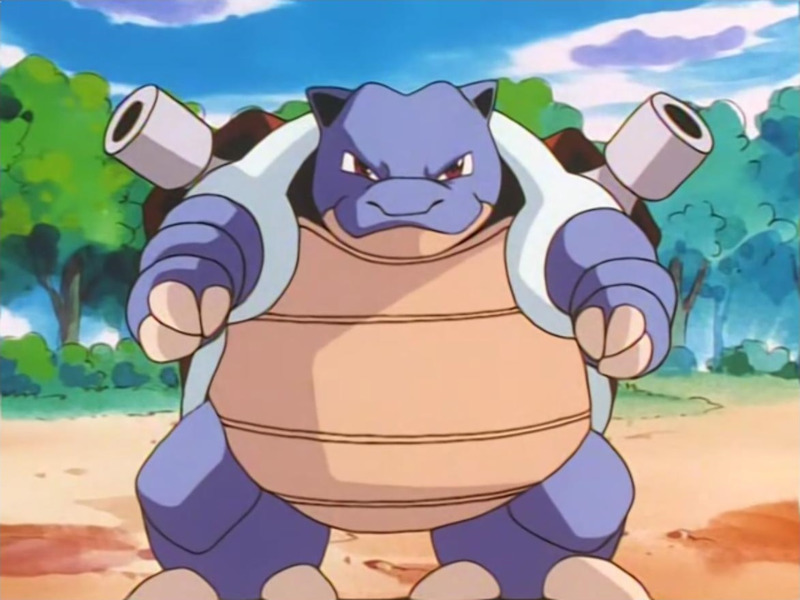 In my case, it was during one of these driving trips, where we had left the car behind to go catch a Blastoise behind an apartment complex at night. I remember seeing the No Trespassing sign and wondering idly if it was actually enforced. The magic part of this is I never caught that Blastoise. My significant other did, but I ended up with nothing for my trouble. Tagged with Android Devices,	Articles,	ios,	mobile,	Pokemon.